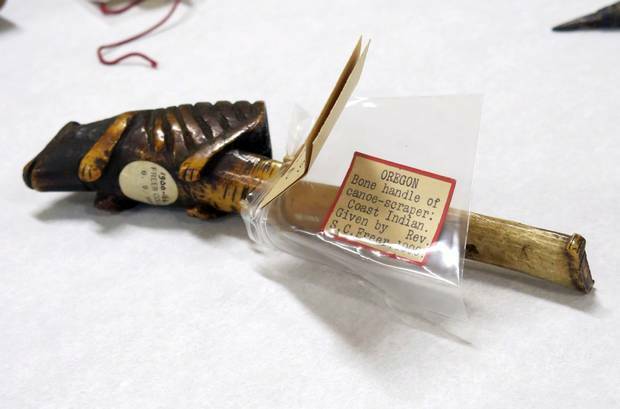 The 16 objects will go on display Tuesday on a small Oregon reservation after a decades-long campaign by the Confederated Tribes of the Grand Ronde to bring them back from Europe. The intricate bowls, woven baskets and other pieces were collected by the Rev. Robert W. Summers, an Episcopal minister who bought them from destitute tribal members in the 1870s and sold them to a colleague. The colleague later gifted the objects to the British institution. The "Rise of the Collectors " exhibit, on display at the Chachalu Tribal Museum & Cultural Center in Grand Ronde, also includes basketry collected by Dr. Andrew Kershaw, who worked on the reservation in the 1890s as a doctor and agent for the federal Bureau of Indian Affairs. Grand Ronde is about 70 miles (110 kilometers) southwest of Portland. Together, the two collections are part of a larger plan by the Grand Ronde to reclaim and examine its history for future generations — a mission that echoes efforts by other tribes around the United States. Two years ago, a Parisian auction house withdrew a ceremonial shield from an auction after the Acoma Pueblo, a tribe in rural New Mexico, moved to halt its sale. 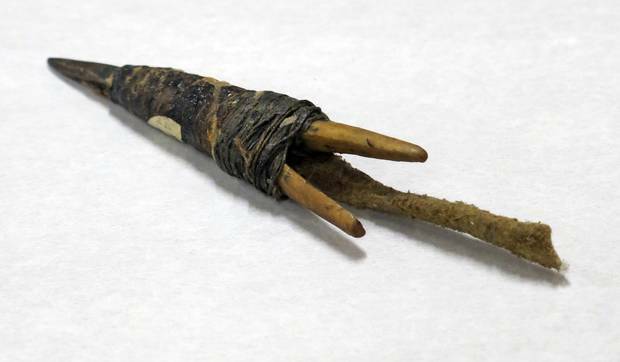 And tribes from Alaska to Connecticut have used a U.S. law passed in 1990 to reclaim Native American remains and sacred or funerary objects. 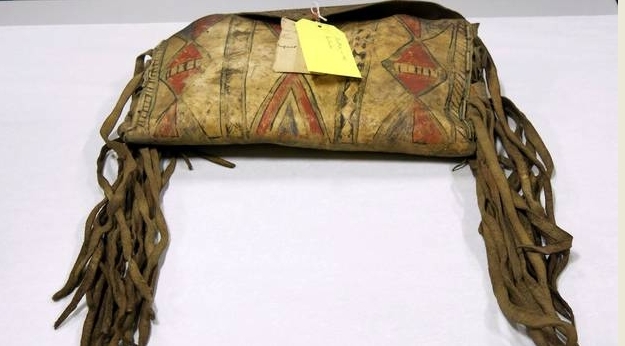 The Confederated Tribes of the Grand Ronde wanted the objects back permanently but worked out an initial yearlong loan because a full return of items from the British Museum requires parliamentary action, said David Harrelson, manager of the tribe's cultural resources department. The tribe never made a formal request to have the objects repatriated and instead chose to work with the European institution. The temporary exhibit is regarded as a first step to more collaboration between the Grand Ronde and the British Museum. "It's a real privilege to be a part of this, where this material heritage is coming back to this community," said Amber Lincoln, curator of the Americas section of the British Museum. She and a colleague traveled to Oregon with the objects. "This is what we work for, to bring people together ... so that we all learn." In Oregon, the U.S. government in 1856 forced members of nearly 30 tribes and bands onto a new reservation to clear out land for white settlement. The mass relocation created a jumble of peoples who brought with them traditions and languages from what is now Northern California to southern Washington, a 350-mile (563-kilometer) span. The government terminated treaties with those tribes about a century later and restored them in 1983, marking an end to a turbulent period that remains a fresh wound for many here. The Confederated Tribes of the Grand Ronde now has 5,100 members. 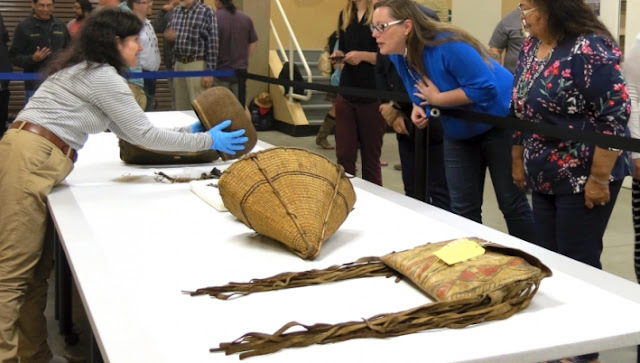 Around the same time, tribal members still in Oregon first learned of the Summers collection and mounted a campaign to repatriate the objects. The federal law passed to help tribes reclaim artifacts from American museums didn't apply to overseas institutions, so tribal representatives traveled to London, hosted British Museum officials in Oregon and pursued talks over a period of years. The museum was welcoming, but the tribe lacked a secure space to keep the objects. "In my heart, I felt like, 'Those are ours, and we need repatriate — whatever means we can to have those returned here,'" said Cheryle Kennedy, chairwoman of the Confederated Tribes of the Grand Ronde. "It's really the spirit within our people that I felt crying out." Summers was passionate about collecting tribal artifacts and focused on finding items made before contact with Europeans — which means many of the objects on display were created before the tribes were forced onto the reservation, said Travis Stewart, interpretive director for the exhibit and a tribal member who selected the items on loan from the British. That makes their temporary return even more symbolic, said Stewart, whose ancestors appear posing with basketry in a photograph in the exhibit. "There are spiritual teachings we lose, there are cultural teachings we lose," he said. "The fabric, the materials that these things are made of are from those people's homes." Summers was intent on preserving that heritage through his collecting, a topic he returns to repeatedly in detailed notes also featured in the exhibit. He made many trips to Grand Ronde while stationed at a church in the nearby town of McMinnville, but ultimately sold his collection to the Rev. Selwyn Charles Freer as Summers' health failed. Summers' wife, Lucia, created a hand-illustrated catalog of the collection after her husband's 1898 death. Freer in 1900 gifted the hundreds of items, as well as Lucia Summers' illustrations, to the British Museum. Now, the 5,200-member tribe hopes the loan — as well as its newly expanded museum space — will give it the track record it needs to secure similar loans from other institutions. "I'm hopeful," said Kennedy, the tribal chairwoman. "The healing of our people is happening." Responses to "After 120 years, British return artifacts to Native American tribe"